The Coaching in the Car Podcast is a production of the Coaching Process Wins web site. The series, hosted by Rick Butler, includes full length podcasts as well as a shorter version entitled The Morning Walk Through. Click the Player directly below to learn about, and listen to the first in the Morning Walk Through series of shows. Each Monday through Friday and leading up to football season Coaching Process Wins delivers a short message to start your day off with something you can share with your staff and players. Listen to longer, featured Coaching in the Car podcasts by clicking the Play button on the player below . As we add more featured shows, we'll add a Coaching Process Wins archive page. 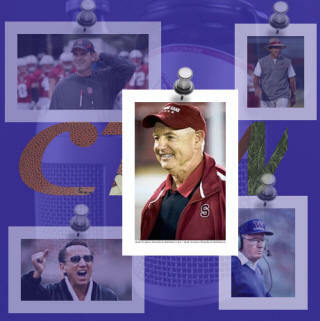 If you've enjoyed these podcasts from Coaching Process Wins, you can find many more on The Coaching Process Wins Web site. In our third featured show, we showcased a "Morning Walk-Through"podcast in which Rick Butler talked about Bill Campbell , who he says may very well be the best coach that never had a winning season ! Coach Butler considers how Campbell’s system of leadership and management - perfected in Silicon Valley while mentoring the likes of Steve Jobs and Jeff Bezos, can be applied to football staffs. 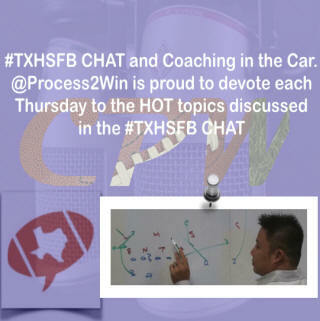 In our second featured show, host Rick Butler talked with Dan Gonzalez , Football Consultant and former Texas HS, College player and coach about the recent TXHSFBCHAT session that he led entitled "Game Planning the Passing Game". Thanks to these guests for appearing on our featured shows.